Spain’s Federation of Food Banks (FESBAL) has put out the call for volunteers to help with this weekend’s Gran Recogida (Big Collection) of foodstuffs, saying they need 130,000 volunteers to help them collect 22 million kilos of food to provide to needy families and individuals over the coming year-end holiday season. FESBAL is asking for volunteers to give a few hours of their time to work in four-hour shifts at 11,000 supermarkets and other collection points across Spain this Friday and Saturday, and extending into Sunday in Madrid and some areas of Spain. In last year’s Gran Recogida, some 130,000 volunteers helped collect 21 million kilos of food that were distributed to families and individuals through the FESBAL’s affiliated 56 food banks nationwide. 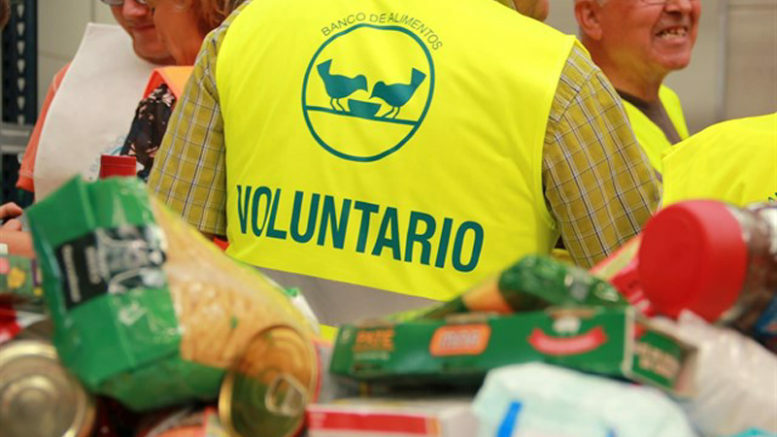 Those who are unable to volunteer to help in the collection are nevertheless urged to purchase extra foodstuffs while shopping this weekend and to donate them to the food drive through the Gran Recogida volunteers present at supermarket entrances across Spain.